If you’ve been looking for a reason to leave your point-and-shoot digital camera at home but haven’t been happy with the quality of smartphone cameras to date, Samsung has your number (no pun intended) with their new Galaxy S4 Zoom. The device combines a full-featured smartphone with a full-featured digital camera in a package that looks about like you’d expect. The smartphone aspect is best described as a Galaxy S4 Mini with a 4.3-inch display operating at 960 x 540 pixels. It’s powered by a dual-core 1.5GHz processor and runs Android 4.2 Jelly Bean. There’s 5GB of internal storage on tap with a microSD card slot for added expansion if desired. 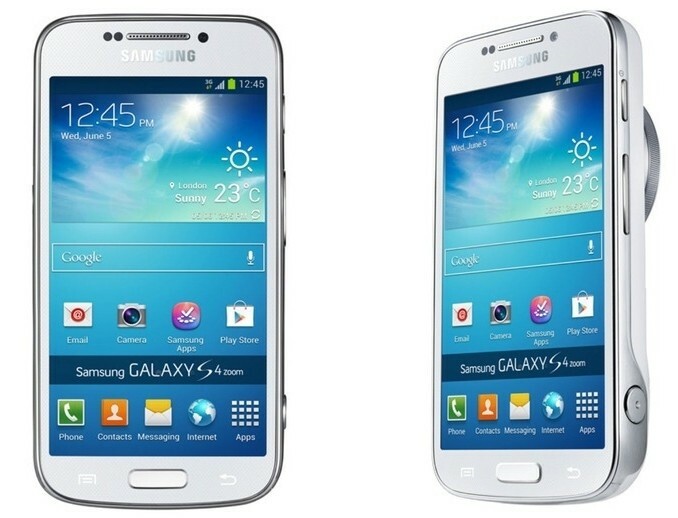 Samsung plans to release 3G and LTE versions of the device and of course, Wi-Fi comes standard. On the camera side of things, there’s a 16-megapixel CMOS sensor, optical image stabilization and a xenon flash. True to its name, the Galaxy S4 Zoom includes a 10x optical zoom and includes a software feature known as Zoom Ring. With Zoom Ring, you’ll be able to snap photos using the camera while on a call and send them over to the person you’re chatting with on-the-fly via MMS. Another feature called Photo Suggest can direct users to better vantage points when snapping pics and even show images from a catalog for inspiration. The device measures 15.4-millimeters thick and weighs 208 grams which, when compared to last year’s Galaxy Camera, isn’t all that bad. Whether or not consumers will accept the extra girth as a tradeoff, however, remains to be seen. Samsung didn’t specify when the Galaxy S4 Zoom will be available or how much it will set you back.